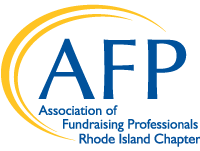 Over 500 guests joined us on Friday, November 16, 2018 for AFP-RI's National Philanthropy Day. Congratulations to all of our 2018 award winners! Thank you to all of our 2018 sponsors!